"My dance is my connection to the divine." Jonathan Horan is Gabrielle Roth's son and closest collaborator. He is the Executive Director of her international institute, 5Rhythms Global as well as the Director of The Moving Center School NYC. Jonathan has been immersed in the 5Rhythms practice throughout his life and continues to be a key catalyst in its evolution. He is a member of the core teaching faculty of both training and advanced work and teaches workshops of all levels around the world. He has taught at Vassar College and currently teaches for a variety of institutes such as Esalen, Omega, Kripalu and Naropa Institute and an annual residency in Blue Spirit in Costa Rica. 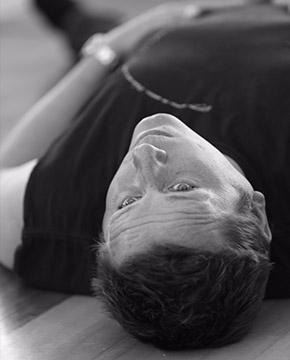 His weekly NYC High Vibrations class has been featured in New York Magazine, Breathe, and the Daily News, and was chosen as the hottest movement class in New York by the Village Voice.